We spent 108 days in South America. This post started because I was bored on our 2-day bus journey from San Salvador de Jujuy in Argentina to Lima, Peru. Data geek that I am, I thought it would be fun to chart the breakdown of where we’d stayed over the four months. As planned, mostly we slept in backpacker hostels usually for the princely sum of $12 per person, per night. Usually we had a four-bed dorm room to ourselves although at least once we ended up sharing a six-bed dorm room. Typically such dorm rooms came with two sets of bunk beds although every so often we’d find a hostel dorm with a double bed and a set of bunks in the same room which worked perfectly for us, but I had to wonder how often such rooms are populated with a couple and two unrelated, unknown solo travelers. That must be a little strange for all concerned. We rented a house in Curia, Ecuador for 10 days at the start of our trip and a comfortable and beautifully decorated apartment in Santiago, Chile for another 10 days about half way into our time in South America. The average cost per person, per night in rented accommodation was $12.50 – only slightly higher than low-cost hostels – but that grossly underestimates the benefits we gained from having such space for a few nights. Interleaving backpacking with vacation rentals about every six weeks is turning out to be a good approach for us for everyone’s sanity and peace of mind. The kids like having their own room. I like having a kitchen, washing machine and maybe even a hair-dryer. We all like having a living-room to ourselves to lounge about in. We had a blast road-tripping around Argentina in our rented CamperVan. I need to write up the whole experience in more detail but briefly, in terms of accommodation, it was a very different 16 days to the rest of the trip. We stopped being backpackers and became a road-tripping family. The other people we met on the camping circuit were older and more welcoming than the twenty-somethings in hostels. Unfortunately, the camper we rented was really too small for a family of four but the experience of driving through the Pampas, around Argentina’s Lake District and through the high desert was unforgettable. Renting the camper was a splurge at approximately $40 per person per night. Ten nights on buses! That statistic surprised us. We knew we’d done quite a few overnight trips but we hadn’t been keeping track of the total. I found it a lot less painful than it sounds. The boys generally slept well on these overnight trips. Murph didn’t do well at all. We found journeys of 12-14 hours overnight easiest – you got a little sleep, you arrived at your destination in the early morning and it didn’t take too long to recover from being cramped up for hours. Trips of longer than 18 hours (for example, 24 hours from San Pedro de Atacama to Santiago in Chile), were a lot more difficult. Honestly, my hips and knees would start to ache and the boys would eventually run out of books or games and start bugging each other. That said, when we opted for a more expensive service (think a first-class airplane seat with extra leg room rather than a coach-class seat) longer trips were definitely easier. The ticket costs could be double say, $80 to cross Argentina from Mendoza to Buenos Aires instead of $40 for the standard service, but it was absolutely worth the additional expense. It seems that Murph will always vote for the cheapest option and I will argue for a little luxury. We’ll have to see if that pattern continues through Asia – where he’s already talking about taking a 56-hour train ride! * Choosing a slightly more expensive hostel as a treat after a hideous travel experience (when our flights were delayed getting to Salta) or, in the case of Cuzco, to support a charity. 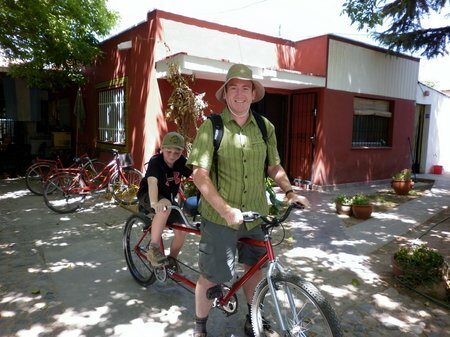 The one notable exception to all of the above was the two nights we stayed at the Posada Salentein in Argentina. At $400 per night for a 2-bed apartment this was a monster “let’s forget about the budget” splurge. 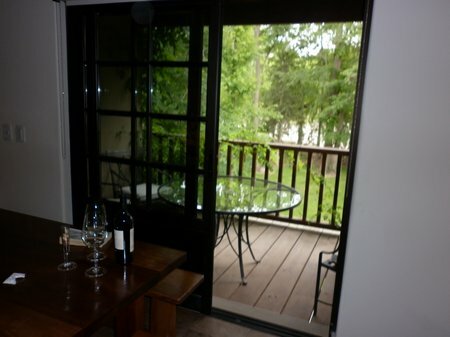 That said, it was Thanksgiving, the accommodations were spacious and stylishly decorated, the $400 was all-inclusive – three meals from an award-winning kitchen and wine by the bottle – and there was a 40th birthday gift (to me) owing. What woman wouldn’t want to (belatedly) celebrate her 40th in such environs? 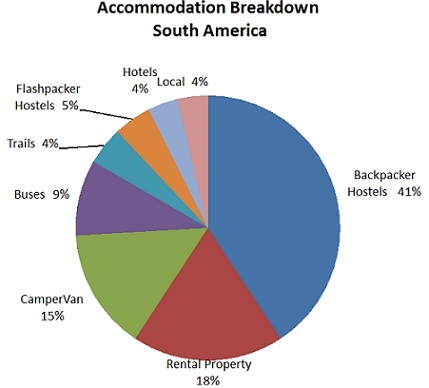 This entry was posted in Argentina, International Escapades and tagged Accommodation, Argentina, Posada Salentein on January 12, 2011 by wandermom. This week I’m trying something new. 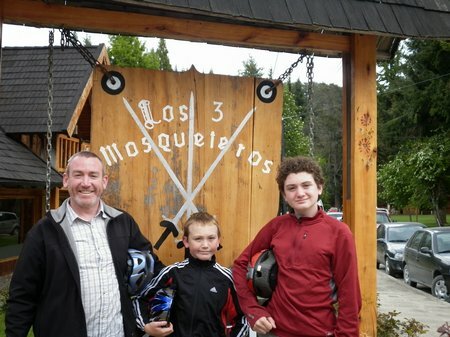 I’m doing photo-blog posts on our time in Argentina. Today is Week 6: Salta and La Quebrada de Humahuaca. I hope you enjoy! 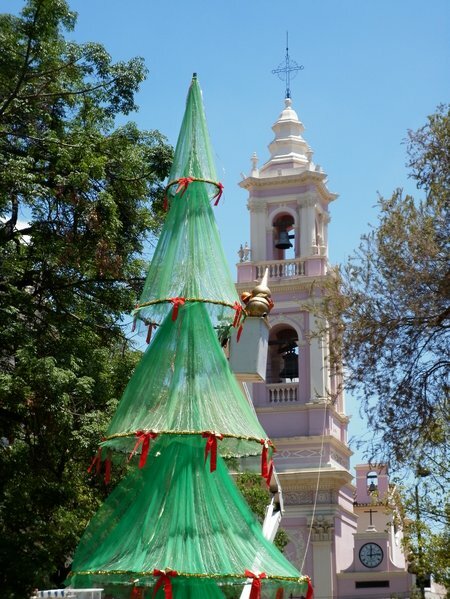 This “Christmas Tree” outside the cathedral on Salta’s main square reminded us that the holidays were fast approaching. The very strange thing about entended travel is that even though you may have days which are dictated by bus, train or flight schedules, on most days, you lose track of time. At least once a day every day some one of us asks “What day is it?”. It’s quite strange. This entry was posted in Argentina, International Escapades and tagged Argentina, Humahuaca, Pumamarca, Quebrada de Humahuaca, Salta, Tilcara on December 22, 2010 by wandermom. This week I’m trying something new. I’m doing photo-blog posts on our time in Argentina. 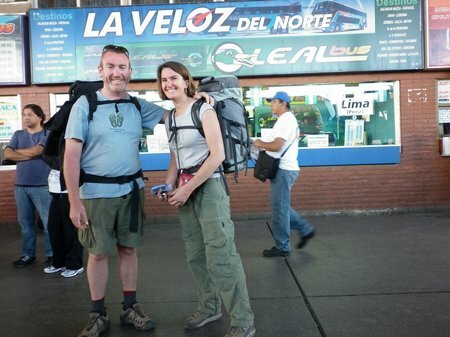 Today is Week 5: Back To Buenos Aires And On To Iguazu. I hope you enjoy! Sadly, it was time to say goodbye to our home on wheels. The folks at Motorhometime.com are great. They are friendly, accommodating, supportive and do their best to stay in touch with you when you’re on the road. I can’t recommend them highly enough. 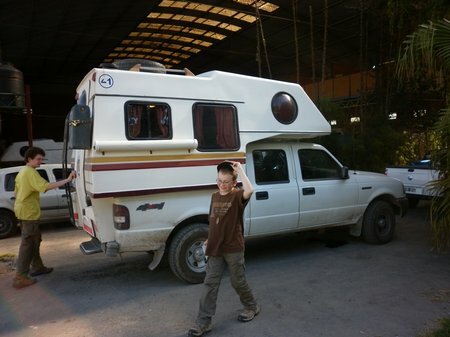 And, they build their own campervans, so they’re intimately familiar with the vehicle that you’re renting. This entry was posted in Argentina, International Escapades and tagged Argentina, Buenos Aires, Iguazu Falls on December 21, 2010 by wandermom. This week I’m trying something new. I’m doing photo-blog posts on our time in Argentina. Today is Week 2: Gauchos and The Pampas. I hope you enjoy! 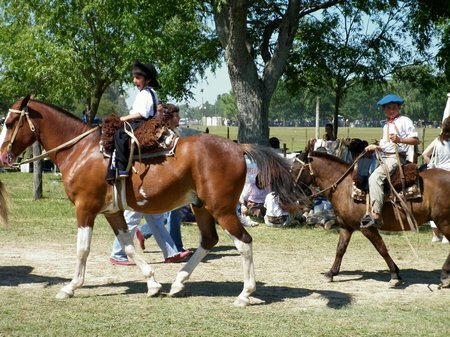 San Antonio de Areco is a small town just an hour and a half outside Buenos Aires. We’d heard about the annual festival celebrating Gauchos and the gaucho culture (Dia de la Tradicion) and so, we headed out to investigate. Coming from the bus station we literally walked into a parade of gauchos on horseback on their way to the town fair grounds. We followed – on foot. 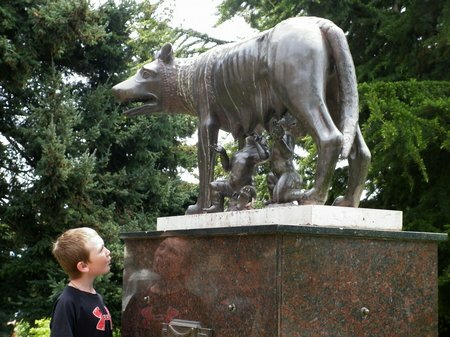 This entry was posted in Argentina, International Escapades and tagged Argentina, San Antonio De Areco on December 16, 2010 by wandermom.